Hyundai, the Korean giant automobile company, set its ground in India on 6th May, 1996. As it entered India, it set out new grounds and expectations for other automobile companies to compete on. It soon became the 2nd largest car manufacturer company in India. It was meant to be as the cars Hyundai manufactures are truly unique and the cars were budget and pocket friendly to the consumers. One such car, the Hyundai Sonata Embera Diesel, not only touched the middle class consumers but also has become a part of the soft corner of the riches. The looks and design of the car are just futuristic and the performance of the car is of that of the race cars! Hyundai Sonata Embera Diesel is just so elegant looking among the other cars available at the same price. Elegant yet performance ready, the Hyundai Sonata Embera is worth even more than the every penny spent on it! 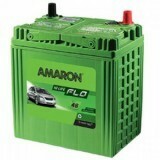 This car is popular among consumers and so the batteries of this car are widely available in local shops. But why buy from a local shop if you can shop quality batteries online at your convenience. Buying Hyundai Sonata Embera Diesel batteries online has never been so easy. At http://www.everyonechoice.com/, you can get Hyundai Sonata Embera Diesel batteries anywhere in India at just amazingly low prices and free delivery and installation charges. 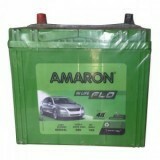 So, purchase quality batteries checked by our quality experts for your elegant Hyundai Sonata Embera Diesel.